Gazelle and Beezid: Getting a good deal or getting ripped off? Gazelle - Pays you money for your old gadgets. They send you a box and you send your old electronics for cash (or a gift certificate). Beezid - Bid on items and (hopefully) get them for a huge discount. These sound pretty good at first. But when you dig deeper, both of these come up short, at least for my purposes. Even though we can't pay you, we'd still like to help you recycle it responsibly. It's easy. Just click the 'recycle' button to add it to your box. As long as something else in your box has value, we'll still pay for shipping. That's really nice that they're willing to send me a box to recycle it, but I still have to pay for shipping (unless I'm sending something else of value). 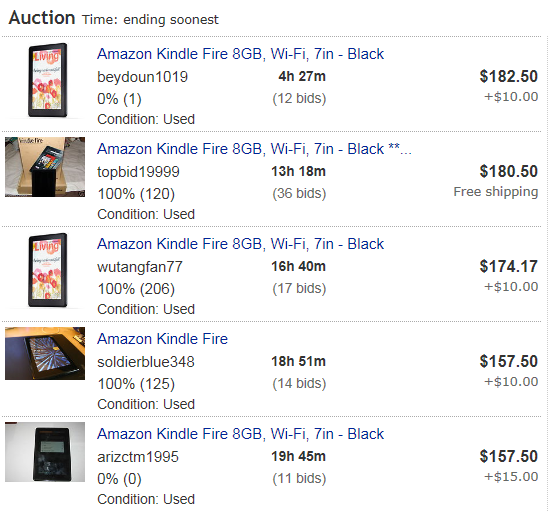 So, I checked out eBay, and Kindle Fire's are listed for around $180 (although I'm not sure they all sell for this). The point is, I would expect a Fire to go for at least $120. After browsing through Gazelle, it wasn't clear how I could ever get a fair price for anything in my garage. In most cases, I got no price. And the ever-so-helpful "we'd like to help you recycle it responsibly" message is exploitation masquerading as concern: Send us your stuff (and you pay for shipping), and we'll then "recycle" it for you. Yes, they might actually recycle your electronics -- but I don't think they'd be recycling anything because it's the right thing to do. This is most likely how they make most of their money. Go to SiteJabber.com for more information from other people about Gazelle. We offer several bid packages tailored to meet your needs. 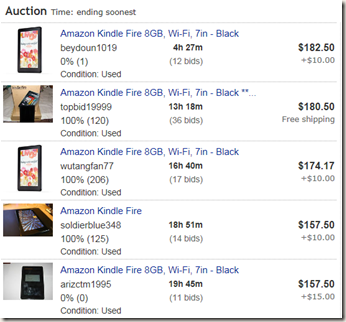 The cost for each bid will vary based on the package you choose. Bids are available in packs of 30, 50, 100, 200, 500 and 1000 and range from $0.55 - $0.90 per bid. 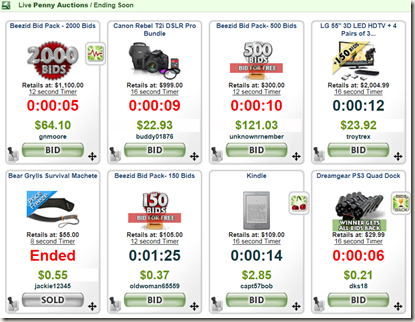 The more bids you buy, the cheaper it gets for each bid, and the greater the savings you can enjoy! 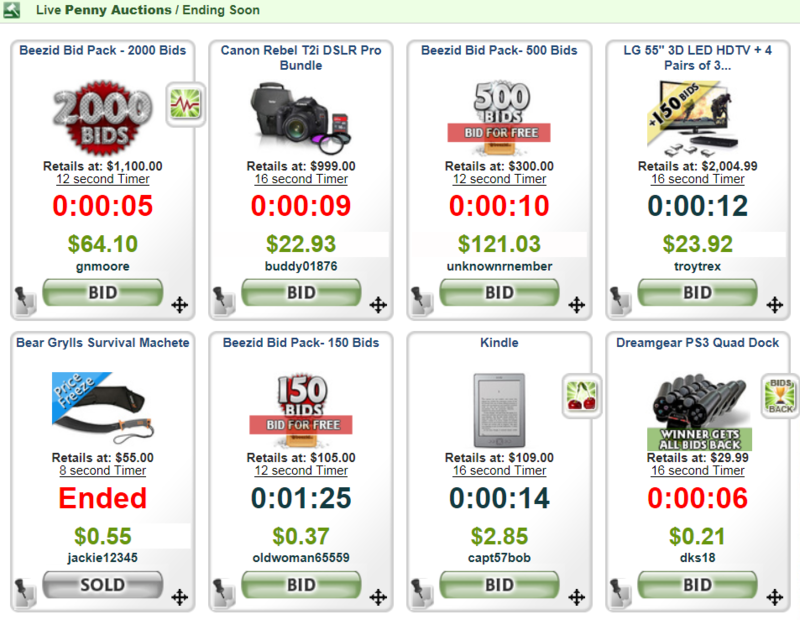 Get yourself a Bid Pack and jump into the savings! Wait a minute -- you need to pay between $0.55 and $0.90 per bid, even if you don't win anything? That sounds similar to another type of business: video slot machines at casinos. In this case, Beezid makes their money from all the bids that people put in. There's one "winner," who gets a great deal on an iPad, but everyone else loses. OK, back to Beezid: If you like to pay for the privilege of bidding on an item, then this site's for you. But I'm of the belief that you can't get something for nothing. Even if you do get an item for free or cheap somewhere, think of all the time it took to get that item. This is why eBay's never worked for me -- I don't have the time or patience to watch auctions. I admire people who do have this ability, but it's not for me. As to whether Beezid is a scam or a good deal, SiteJabber seems to agree with me that it's a scam.